There is no piece of ski equipment more important than your boots. 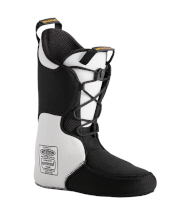 Boots are the critical link between skier, skis, and snow. Your boots can make or break your ski experience, yet the vast majority of skiers are given little guidance and make choices they later regret. We take great pride in our Boot Fitting. This year we have four staff members who have completed the Mastersfit University’s Masters plus program. Whether you are a beginner skier buying your first pair of boots or a competitive racer looking for a performance edge we can accommodate your needs. 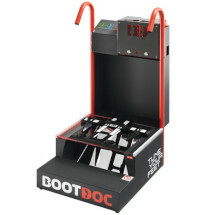 Advanced boot fitting is a multi-step process, building toward combining the best performance and comfort combination available. 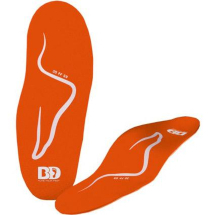 Custom insoles are a necessary add-on to any ski boot, and will dramatically affect performance and comfort. They properly position and stabilize the skier’s feet inside the boot, increase comfort and allow the foot to relax by providing arch support. If ski boot length and shape are the two cornerstones to custom boot fitting, custom insoles are the keystone completing both aspects of performance and comfort. 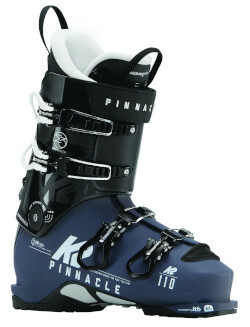 Many modern ski boots include custom thermo moldable liners. Once the arch is properly supported, heating and fitting the liners will solve most common fit issues. Standard liners can also be modified by either adding or removing material. While our first priority is getting the customer into the appropriate shell, quite often people have feet that are not perfectly lined with the rigid, generic shell that the ski boot manufacturers produce. People with bunions, bone spurs and injuries don’t have to suffer. We have the tools and experience to customize the shell to fit your foot. Better Skiing: Properly fit boots transfer energy more efficiently. Skiers will turn better, have more control and confidence.. Better Comfort: This is not just a matter of luxury. Better comfort has concrete advantages besides how your feet feel. It directly translates to less fatigue, which means more runs, better skiing, and less soreness at the end of the day. It is especially important to anyone with uniquely shaped feet, ankles, or lower legs. Warmth: So many skiers complain about cold toes that it has become almost accepted as part of the sport – but it does not have to be. Custom-fitted boots are actually warmer because the blood supply to the feet is not constricted, as it often is in off-the-rack boots.